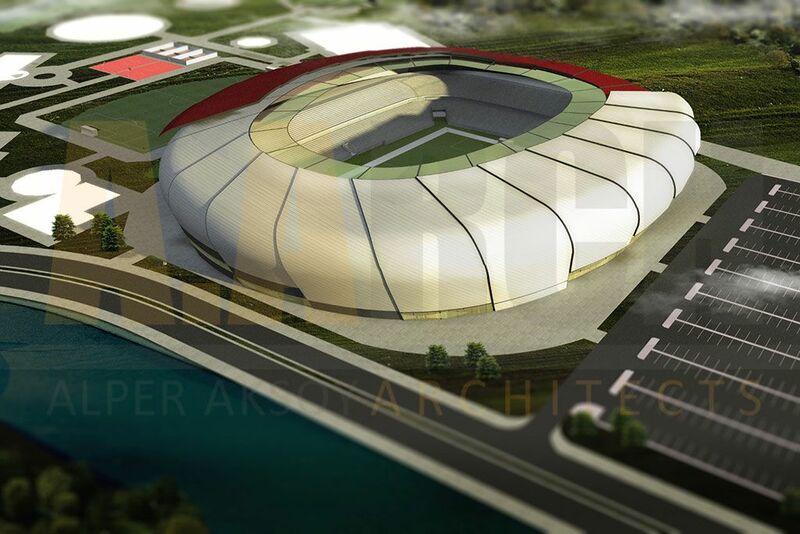 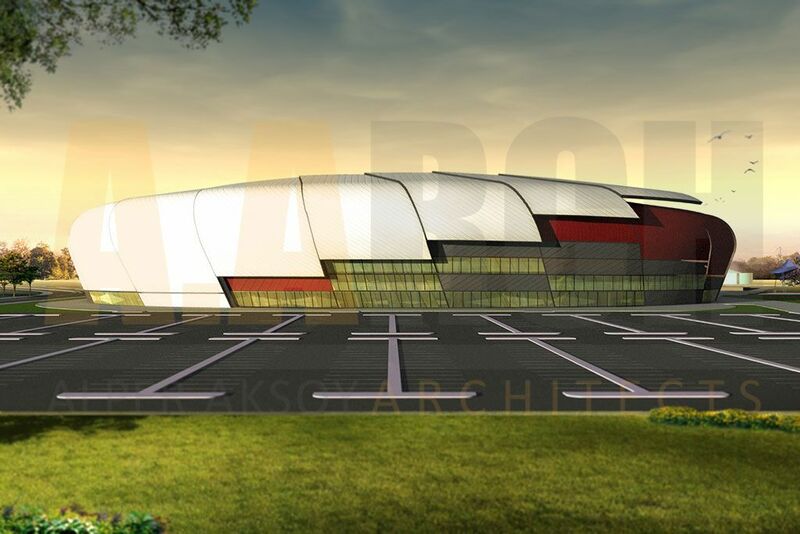 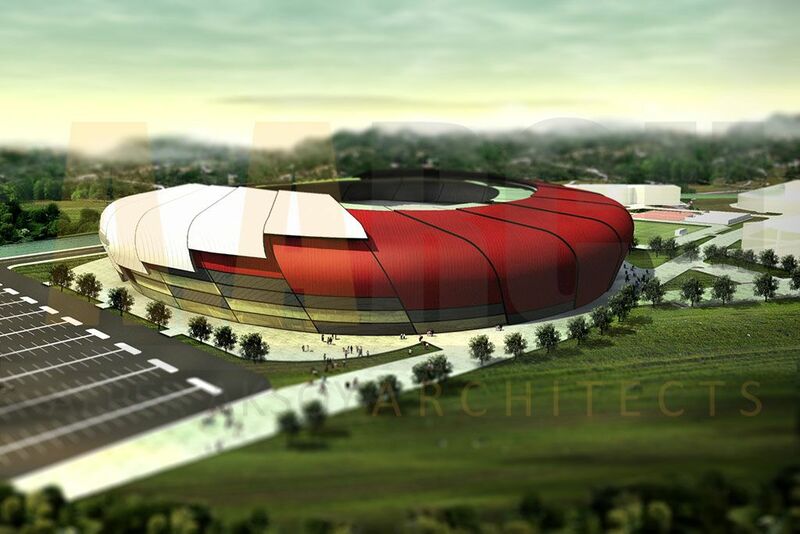 Southernmost province of Hatay is to receive its new stadium soon, works are expected to start in 2013. 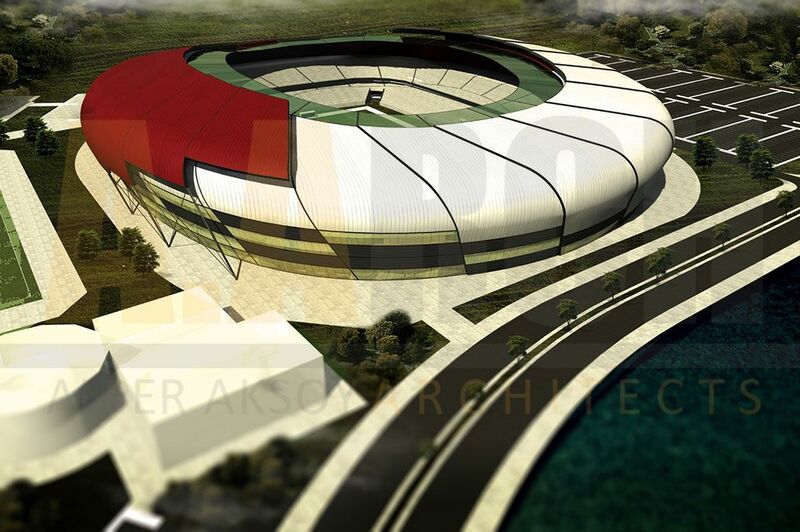 Due to the colour, this concept from Alper Aksoy Architects has been nicknamed the Bordo Beyazd Stadyum (Maroon-White Stadium). 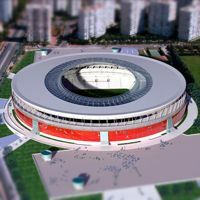 The double-tiered stands are to hold roughly 25,000 people, while other sports facilities are planned around the stadium, including an indoor hall, swimming pools and smaller amenities.